Epson printer isn't included. For Epson L800 included model, please refer to Nimbie Sidekick NK50V + Epson L800. 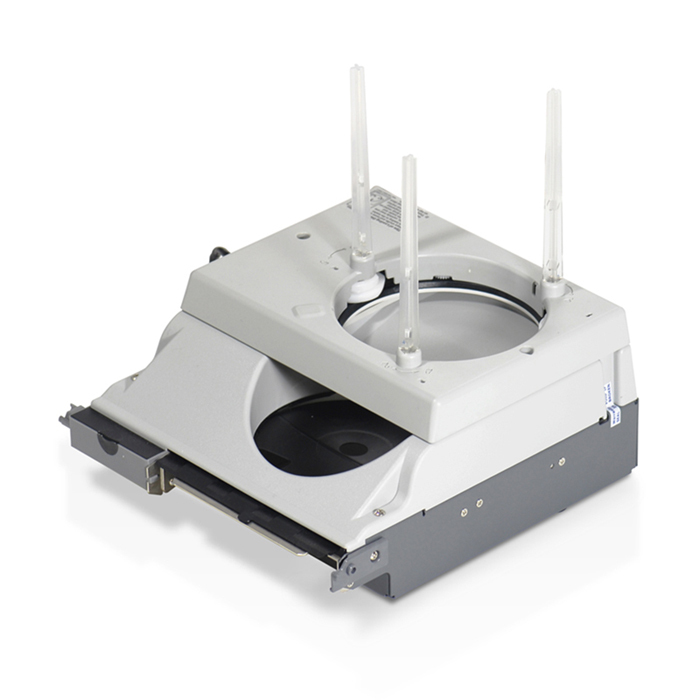 Nimbie Sidekick NK50V is a compact disc auto-loader designed for turning an Epson inkjet printer into an auto disc printer. By attaching NK50V to a compatible Epson inkjet printer, full color labels can be printed directly onto discs automatically. 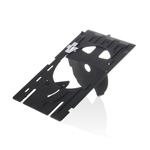 With disc capacity of 100, producing professional looking discs has never been easier! Nimbie Sidekick series for Epson printer is the most affordable solution to automatically print the high quality discs. 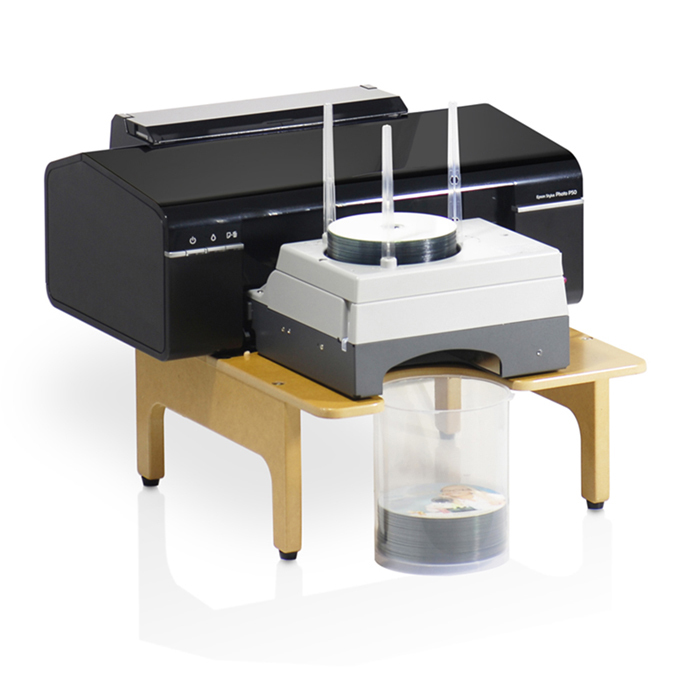 Compare to other automated disc printing systems, the cost on ink with Nimbie Sidekick is as low as $0.04 per disc, saving you 92% on ink compare to other automated disc printing solutions. For details, please refer to the test report. With no modification to the printer required, simply attach Nimbie Sidekick to a compatible printer for automated disc labeling, detach the Nimbie Sidekick for printing papers. No complicated "start up" procedures are required. Simply install the included device drivers and software, then use your preferred software to print discs automatically including Epson's PrintCD, Windows Painter, PhotoShop, Illustrator, CorelDraw and many others. The open loader design allows easy disc refills at any time without interrupting on-going projects. 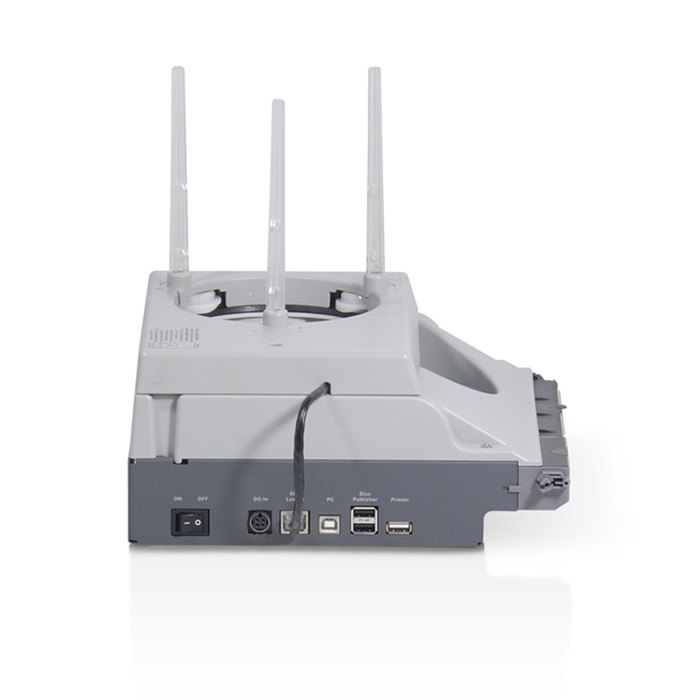 With the MultiNK50V Software  , up to 6 units of Nimbie Sidekick NK50V can be connected to one PC and operated at the same time. The total disc capacity is increased to 600 and 6 copies can be produced simultaneously. Combined with the Conversion Kit and a Nimbie USB Auto duplicator , Nimbie Sidekick NK50V can be transformed into NK50Y Auto Publishing System to burn and print discs in one seamless and automated process. MultiNK50V Software is sold separately. Conversion Kit and Nimbie USB are not included, each sold separately. 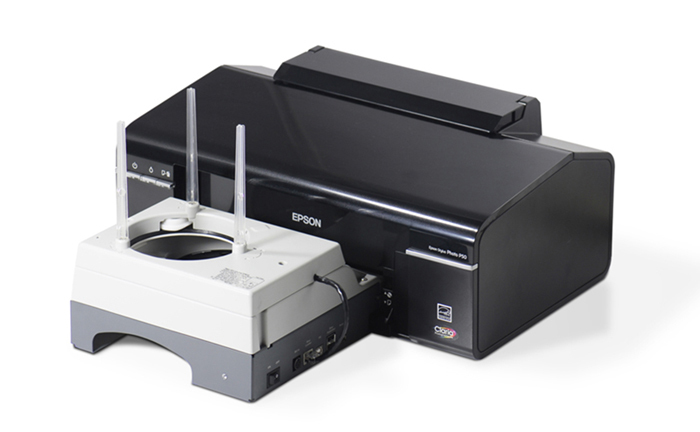 Epson and names of printers are trademarks of Epson Seiko, Corp.
Datatronics is the world-wide distributor of Acronova disc duplicator products. Customers from the USA and Canada, please go to Acronova Store. Copyright © 2012-2019 Datatronics Technology, Inc.